Dreamy Brooklyn duo to play Cornerstone. Despite making an album full of joyful, sparkly pop zest, the members of Rubblebucket have overcome several personal hurdles in recent years. The Brooklyn experimental pop and dance funk duo has experienced an unusual number of life-changing experiences in a very short time. Band members Kalmia Traver and Alex Toth were romantic partners for 11 years, but their relationship came to a grinding halt amidst Traver's ovarian cancer diagnosis and Toth's fight against alcoholism. But their troubles didn't keep them away from music for long. After taking time to get healthy and sort themselves out, they knew they wanted to remain friends and that their musical journey together wasn't over. "Being able to keep that friendship allowed us to keep the musical aspect of our relationship intact, and that was always the most fun part any way," Traver said. It's already an impressive feat to make a breakup record as danceable and fun as their 2018 album, Sun Machine, but what's even more impressive is that it's still danceable and fun without shying away from addressing the pair's bouts with tragedy and inner demons. The record doesn't run away from their problems, put on a phony happy face, and tell listeners to do the same. It insists that we find strength and wisdom in our low points and that being open about those challenges is a much more beautiful, empowering experience than sweeping them under the rug. For Traver, pain is power, and if that message combined with the jubilant horns, intoxicating rhythm, and uplifting choruses of songs like "What Life Is" and "Party Like Your Heart Hurts" doesn't move you, then nothing will. Traver acknowledged that the integration of dark lyrical themes into a party record sounds a bit lofty on paper, but it made complete sense to her. Asked whether the record is equal parts joy and pain, she responded with another question, "Isn't that life?" Last year she read a book of prose poetry called The Prophet by Kahlil Gibran, and she took inspiration from its full-circle view of the two emotions. "There's a passage about sorrow, and he basically just says joy and sorrow come from the same exact place," Traver said. It wasn't all darkness at the end of Traver and Toth's relationship because they still had the happiness of their friendship to cling to. "I think that we both were very firm from the very beginning of the breakup that it meant so much to us to be able to still be friends after everything, and that in itself, is a pretty joyful prospect," she said. Traver is articulate and considerate, making clear that she doesn't expect anyone to feel sorry for them, but rather hopes that listeners will appreciate their courage to share their vulnerabilities. "I felt a strong mission about the whole thing because it felt like if we could get out of this peacefully and portray it and share it, then that could possibly inspire others or at least keep strengthening that path for relationships to be able to be finite and to have beauty all throughout it even at the end," she said. 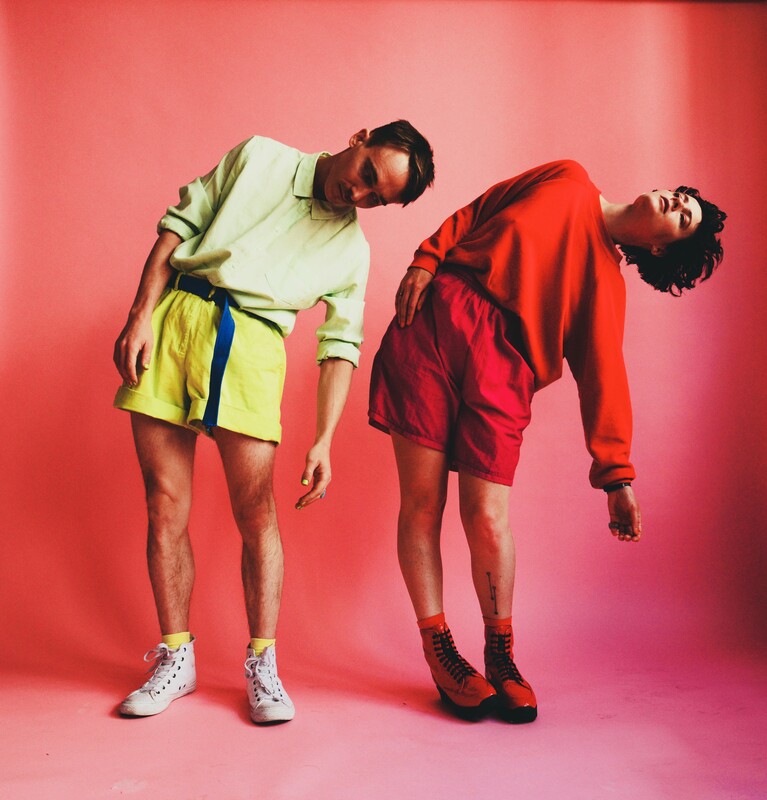 Rubblebucket is perhaps the epitome of the arty indie-pop that has dominated the Brooklyn alternative music scene in the 2010s. Sun Machine slings out the same groovy bass lines, ear-worm worthy choruses, and joyful brassy flourishes that launched a thousand dance parties when the band was coming up within the Northeast college town circuit. The tracklist contains a series of spoken-word interludes, initially intended for documentary footage, but now serving as flourishes of realism while also sounding otherworldly. One interlude discusses nervous energy, another is a brief moment of laughter in the tour van and the last describes the feeling of prolonged physical pain. "Those were just little snippets that we both felt touched the central nerve of the change that was happening in our hearts throughout those really trying times that led up to this album," Traver said. "We've never made an album where we sat down before the whole thing and said, 'Okay this is what we want the album to be like.' Until now." Traver said the band came up with a term called "dream element" which it wanted to include in each of the songs on the album, and those spoken-word bits are the most obvious manifestations of dream element. "We created a code word that doesn't really have a word for it, but it was basically describing beautiful arpeggiated synthesizers with magical sprinkles of fairy dust," she said. "We were like, 'Every song has to have at least one moment of dream element.' And those interludes are absolutely full-on dream element." Mar. 28, 8 p.m., $25, Cornerstone Craft Beer & Live Music, 2367 Shattuck Ave., Berkeley, 510-214-8600, CornerstoneBerkeley.com. Liz Zarka contributed to this story.